The PSMP focused on creating Executive Agencies that represented a new organization format in the Jamaican Public Sector, and making core Ministries more policy driven. The Works Division of the Ministry of Transport and Works was one of the entities examined as part of the PSMP cluster groups and in October 1999 the Jamaican Government endorsed the establishment of the National Works Agency (NWA), and accorded it Executive Agency status on April 1, 2001. A Chief Executive Officer (CEO) was delegated the technical authority and responsibility, vested in Chief Technical Director as well as the Human Resource authority vested in the Governor General. The promotion of improved maintenance of the main road network by use of modern management practices and cost–effective techniques. The commercialization of the technical services of the Ministry of Transport and Works. 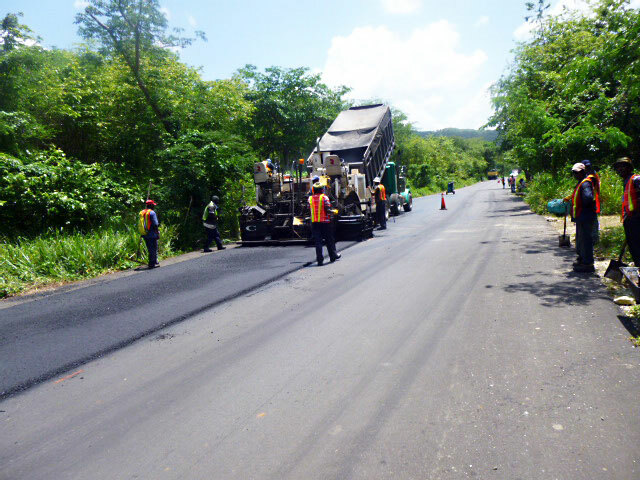 The National Works Agency is directly responsible for Jamaica's main road network, consisting of approximately 5000 km of class A, B and C roads. This network forms 19% of the total road surface available to a nation which relies almost exclusively on roads, as the means of moving around the island. More than 90% of the main road network is paved. The NWA also has 736 bridges on its main road network. There are also parochial roads (14,895 km), farm roads (1,500 km) and community roads (4,200 km). In the case of the parochial and farm roads, these are the responsibility of the local authorities (Parish Councils), while the farm roads are the purview of the Ministry of Agriculture, through its agency, the Rural Agriculture Development Agency (RADA). Parochial, community and farm roads represent 81% of Jamaica's road network.